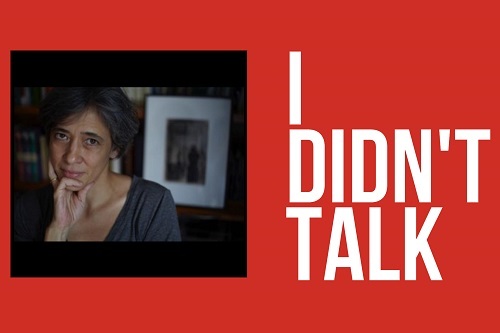 NPR Reviews Beatriz Bracher's "I Didn't Talk"
"Não Falei", the first of Beatriz Bracher's to be translated to English, follows a Brazilian professor as he recalls events following the 1964 coup. "Gustavo, the Brazilian professor and narrator of Beatriz Bracher's 'I Didn't Talk', has found himself with a lot of time to think about stories. He's recently retired from his job, and as he goes through years of accumulated papers, he finds himself constantly being transported back in time, remembering his past. 'Stories are the shape we gave things to pass the time in line at the bank, on the bus, at the bakery counter,' he reflects." To read the review, "Violence Leaves A Lasting Scar In 'I Didn't Talk'", in full, please visit NPR's website here. A book presentation by Beatriz Bracher, and roundtable discussion on memory and politics in modern Brazilian literature with Kristal Bivona and Benjamin Burt.